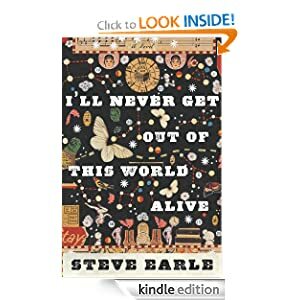 -- Doc Ebersole lives with the ghost of Hank Williams—not just in the figurative sense, not just because he was one of the last people to see him alive, and not just because he is rumored to have given Hank the final morphine dose that killed him. In 1963, ten years after Hank's death, Doc himself is wracked by addiction. Having lost his license to practice medicine, his morphine habit isn't as easy to support as it used to be. So he lives in a rented room in the red-light district on the south side of San Antonio, performing abortions and patching up the odd knife or gunshot wound. But when Graciela, a young Mexican immigrant, appears in the neighborhood in search of Doc's services, miraculous things begin to happen. Graciela sustains a wound on her wrist that never heals, yet she heals others with the touch of her hand. Everyone she meets is transformed for the better, except, maybe, for Hank's angry ghost—who isn't at all pleased to see Doc doing well. I'll Never Get Out of This World Alive or to sample this book for FREE! -- Nathaniel is a magician's apprentice, taking his first lessons in the arts of magic. But when a devious hot-shot wizard named Simon Lovelace ruthlessly humiliates Nathaniel in front of his elders, Nathaniel decides to kick up his education a few notches and show Lovelace who's boss. With revenge on his mind, he summons the powerful djinni, Bartimaeus. 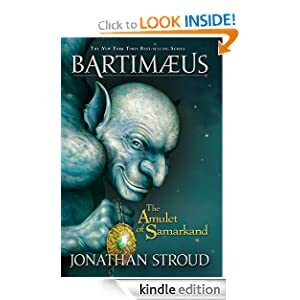 But summoning Bartimaeus and controlling him are two different things entirely, and when Nathaniel sends the djinni out to steal Lovelace's greatest treasure, the Amulet of Samarkand, he finds himself caught up in a whirlwind of magical espionage, murder, and rebellion. The Amulet of Samarkand or to sample this book for FREE! -- Now in paperback, the book no one can stop talking about . . . In the ruins of a place once known as North America lies the nation of Panem, a shining Capitol surrounded by twelve outlying districts. 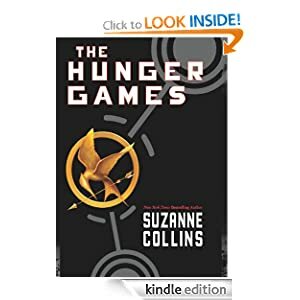 The Capitol is harsh and cruel and keeps the districts in line by forcing them all to send one boy and one girl between the ages of twelve and eighteen to participate in the annual Hunger Games, a fight to the death on live TV. The Hunger Games or to sample this book for FREE!